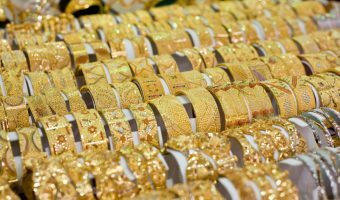 The Gold & Diamond Park is one of the best places in Dubai to buy jewellery, gold, silver, and other precious metals and stones. There are around 80 stores at the mall. Most are jewellers but there are a handful of other shops and businesses including a convenience store (Allday Minimart), a music school (Centre for Musical Arts), and a children’s shop (Just Kidding). It also boasts several cafes. Unlike the Gold Souk, the Gold & Diamond Park is a covered, air-conditioned mall. Bargaining is possible and custom jewellery commissioned. 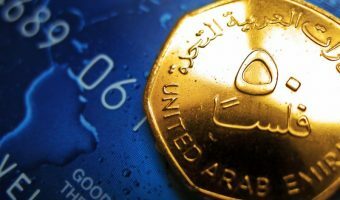 Current retail gold prices in Dubai can be found here. Shops, cafes and other businesses at the Gold & Diamond Park are listed below. The list was last updated on March 1, 2019 . Alma 560 – Portuguese cafe. Baker & Spice – Organic cafe. 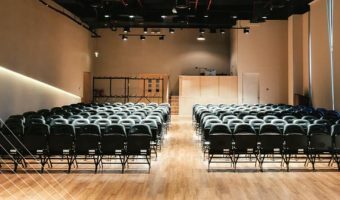 Centre for Musical Arts – Music school. Desco – Digital printing and copying services. Direct Trading – Sportswear, sports equipment, and bicycles. Flywheel – Indoor cycling centre. Infinity RG - Gymnastics classes. Just Kidding – Children’s clothes, nursery furniture, car seats, prams and strollers, feeding products, toys etc. Melody House – Musical instruments. RoshiRoss Studio - Pilates and fitness. Symmetry Gym – Personal training. The Entertainer – Buy One, Get One Free offers. The Store – Luxury watches, jewellery, and accessories. Wilton – Baking and cake decorating supplies. The mall is open every day of the week. Standard opening times are Saturday to Thursday 10 am to 10 pm, and Friday 4 pm to 10 pm. The Gold & Diamond Park is located in Al Quoz, close to the junction of Sheikh Zayed Road and Umm Suqeim Road. Over 800 car parking spaces are available. 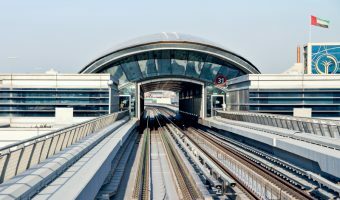 The mall can easily be reached using the Dubai Metro. First Abu Dhabi Bank Metro Station (on the Red Line) is just across the road. Map showing location of Gold & Diamond Park. Music school at the Gold & Diamond Park.